HIT! 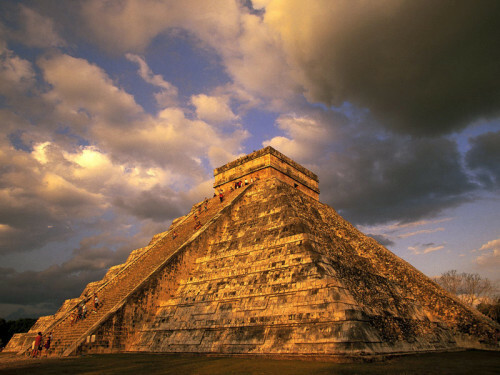 Cheap flights to Mexico City for only €365! UPDATE 15.2.2019: WOW, super cheap flights to MEXICO are back! You can fly from Paris to Mexico City on DIRECT flight (only 12 hours) for just €365! This is an incredible price, usual tickets cost €800+. Travel dates are from March to May and then from September to December 2019. Checked-in baggage is included in the price as well! Hurry up and BOOK NOW, check screenshot. Finding an offer to Mexico City isn’t really easy as there are just few of them each year but we have something mindblowing for you. 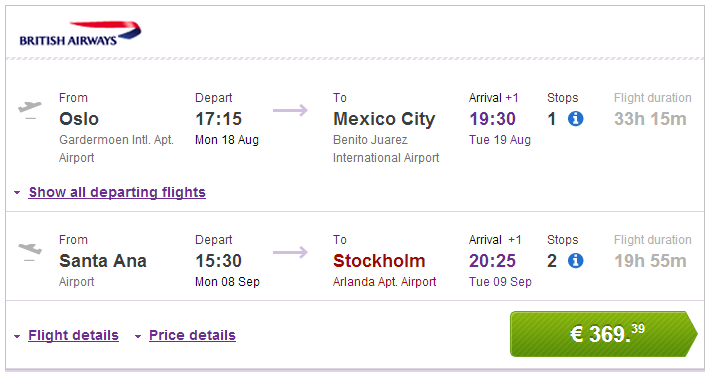 Multicity tickets Oslo – Mexico City / Santa Ana (SNA) – Stockholm (ARN) are available for only €369! Regular price of flights to Mexico City is €800 – €1000 so this is indeed insane offer including also end of Summer. You just need to purchase extra flight from Mexico City to Santa Ana in California – or you can fly to another airport in California such as Los Angeles or Las Vegas and visit 2 countries in one! One way fligths from Mexico City to California are totally bookable for approx €100. Travel dates are from August until December. Book only at BudgetAir (click on Show extra search options to enter return from Santa Ana to Stockholm). Vamos!